14 oz. duck cotton fabric. DeWalt 20V MAX Heated Jackets deliver style, comfort and warmth to make those cold workdays more bearable. With three core heating zones and adjustable heat settings, users get the ideal level of heat and comfort. Choose our full grain leather sleeve model with a flame retardant 100% cotton chest for added comfort and dexterity when MIG or stick welding. The 3XL Realtree camo heated QUIETSHELL jacket is powered by the M12 REDLITHIUM battery. Each heated jacket uses carbon fiber heating elements to create and distribute heat to the chest, back and front hand pockets. A single touch LED controller heats up the battery heated jacket to three heat settings. The MILWAUKEE heated jacket kit's Quick-Heat funtion heats up three times faster than previous jackets and market competitors. The heated hunting jacket also features Realtree Edge camo pattern. The QUIETSHELL stretch polyester material reduces noise from movement and provides wind and water resistance. 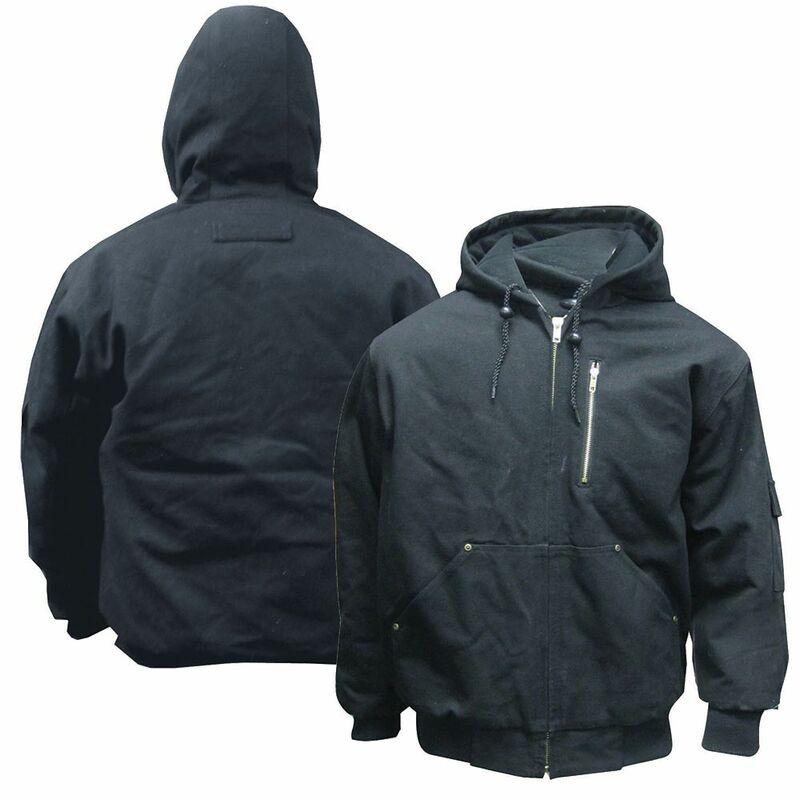 SB Black Cotton Work Jacket (XL) 14 oz. duck cotton fabric.